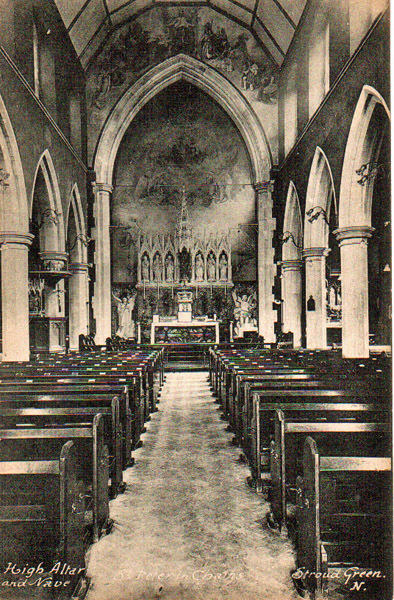 St Peter’s as it was…. 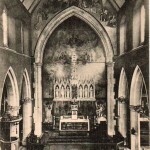 When we asked parishioners for their recollections or old pictures of the inside of the church, we did not know what, if anything, we would get. 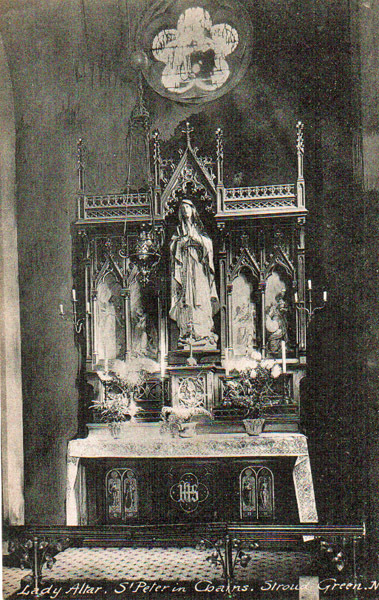 A number of parishioners loaned us pictures from the 1980s which showed things much as they are today. 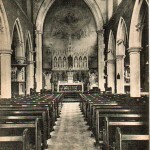 However this week Winnie Elkins, an ex-parishioner whose family were involved in the founding of the parish, loaned Fr Sean some old postcards showing the interior of the church. Unfortunately there are no dates on the cards but the company producing them appears to have been around in the 1930s. 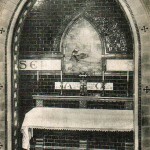 Though the pictures are grainy, they show there were once paintings on the arch above the Sanctuary as well as on the wall behind the altar and, it appears, on the side wall above the tiling in St Joseph’s Chapel. 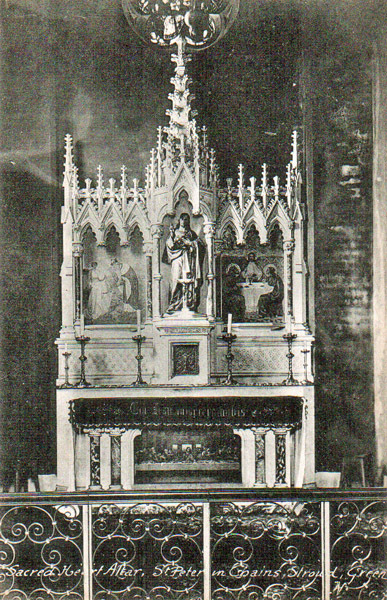 There is also a picture of the altar that was once found in the Lady Chapel. 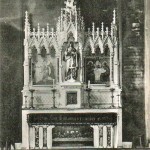 The pictures of the High altar and Nave show the arrangement of the Sanctuary and altar rails as well as the pulpit. 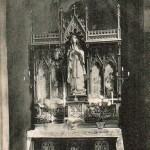 With modern technology we have been able to scan the pictures and you can view them by clicking on the thumbnail images below. 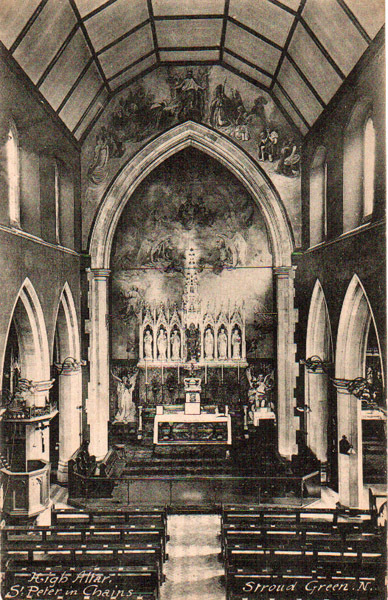 When we finalise plans for the Sanctuary, we will see if anything remains under the wallpaper and paint! 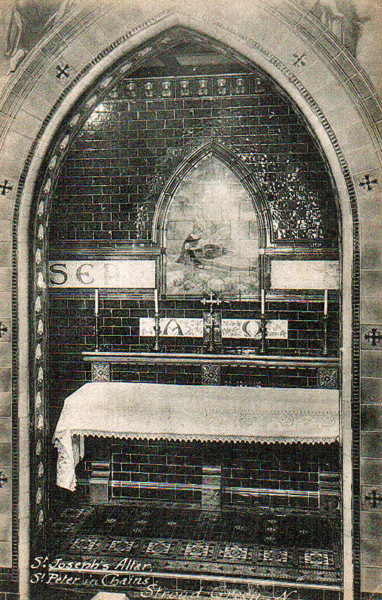 With many thanks to Winnie and the other parishioners who have helped us with our research.